UFC 128 Prelims gave SpikeTV 1.3 million viewers last Saturday. Last Saturday’s telecast of UFC 128 Prelims Live on Spike TV gained good feedback towards the network. The ratings were back since its second hit on UFC 126 Prelims. The UFC 128 Prelims Live featured Luiz Cane making quick work of Eliot Marshall. 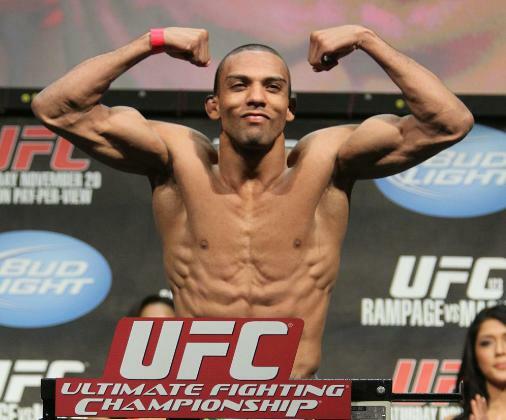 Prior to that, Edson Barboza Jr. took down Anthony Njokuani via unanimous decision — earning him a UFC 128 “Fight of the Night” performance award. However, both fights weren’t enough to set back another record or to level with the momentum cast by UFC 126 Prelims. UFC 126 drew 2 Million, while UFC 128 had an average of 1.3 only. The Prelims Special will be back on April 30 for UFC 129: St-Pierre vs. Shields. Nate Diaz against Rory MacDonald and Brian Foster facing Sean Pierson are the likely candidates for the UFC 129 Prelims Live telecast on April.